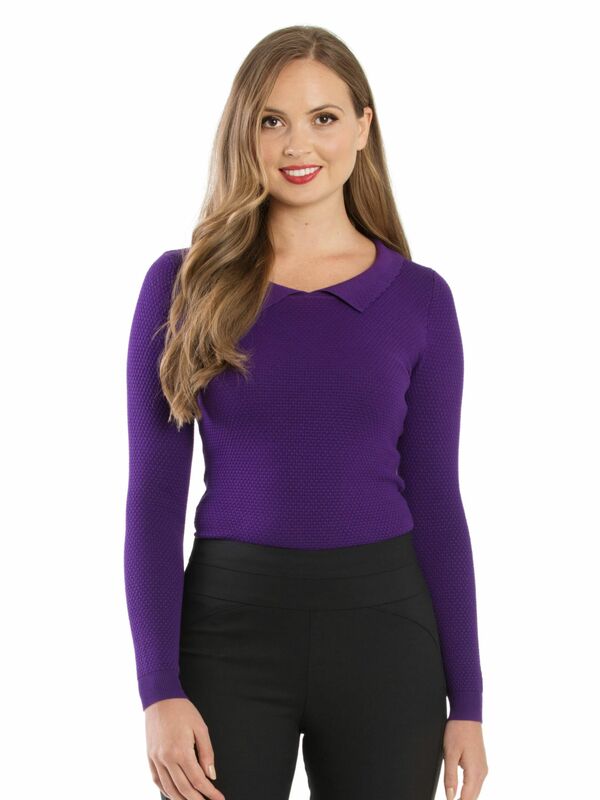 Cindy Jumper https://www.review-australia.com/global/cindy-jumper-purple/RE19KW076.REPUR035.html It has never been easier to brighten up your wardrobe, and your outfit, than with this Cindy Jumper. Fitted with a jersey collar, an embossed front and a wide ribbed hemline for extra comfort. Thanks to the fitted and stretchy design, it works perfectly tucked into A-line skirts or wide legged pants. Worn with the Reynolds Pants and Beverley Peep Toe Heels.